It’s hard to describe Spring Brook Farm as anything other than completely inspirational. We originally reached out to the farm with knowledge of their award-winning cheese and an inkling as to their Farms for City Kids program. However, we walked away from our visit with a profound understanding of the impact children have on Spring Brook, as well as the impact Spring Brook has on children. The farm’s cheese, Tarentaise Reserve in particular, deserves a feature of its own. For now, we focus on the incredible Farms For City Kids Foundation, providing a unique 1,000-acre outdoor classroom for urban youth. 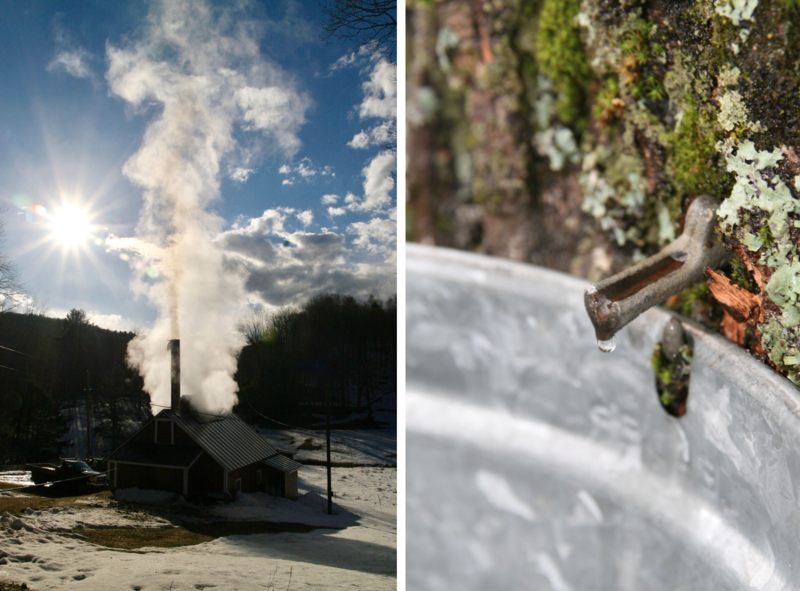 The journey up the hill to Spring Brook Farm encapsulates idyllic Vermont. I mean, Jenne Farm and Okemo Mountain are directly in the background – come on! 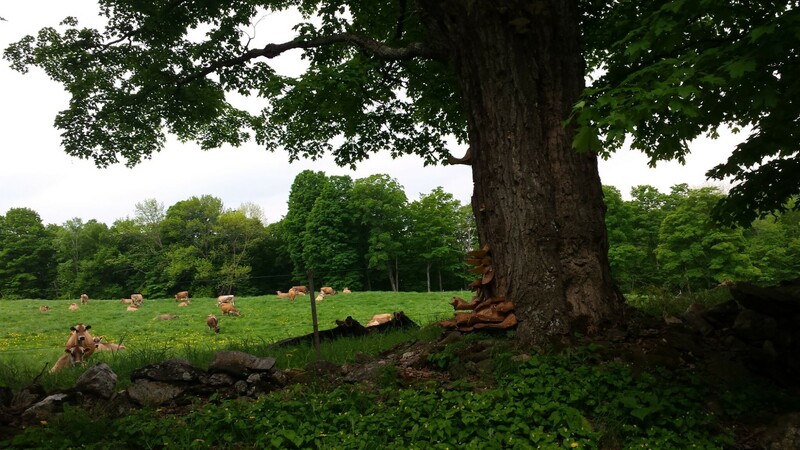 Walking around the farm’s land, however, we can’t help but think that Spring Brook may win in the bucolic scenery category. The sound of children’s laughter echoes through the fields and elevates Spring Brook’s already blissful landscape. Kids bounce around the farm in organized small teams, tending to their daily chores and chatting among themselves. It’s obvious they’re having fun, and their smiles are contagious. 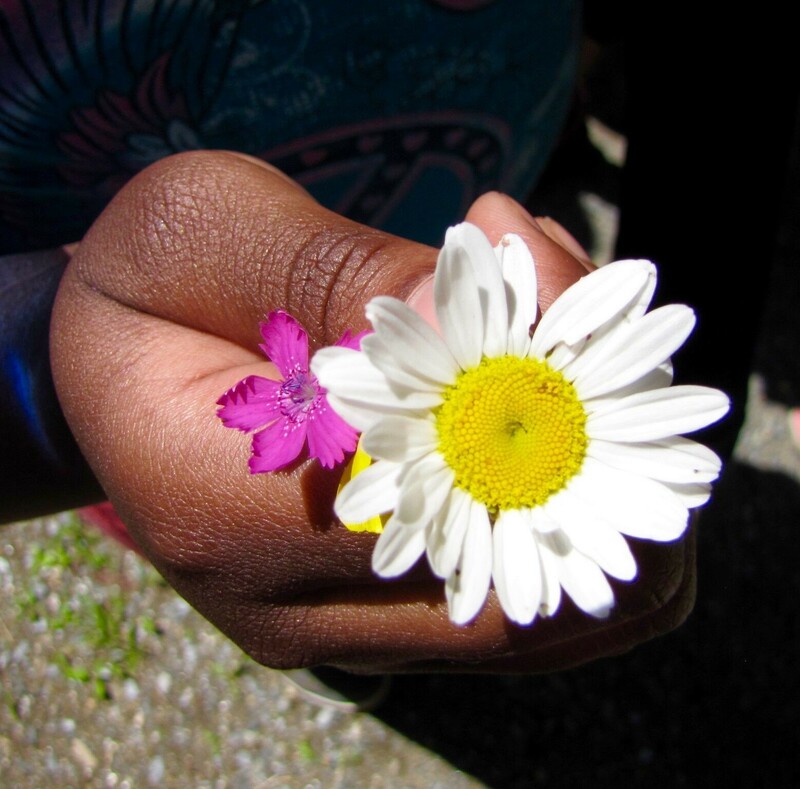 Established in 1992, Farms for City Kids works with culturally diverse low-income students to provide them hands-on experience in nature, farming, and community. Spring Brook Farm offers 5th grade students from New York City an alternative to the traditional classroom. 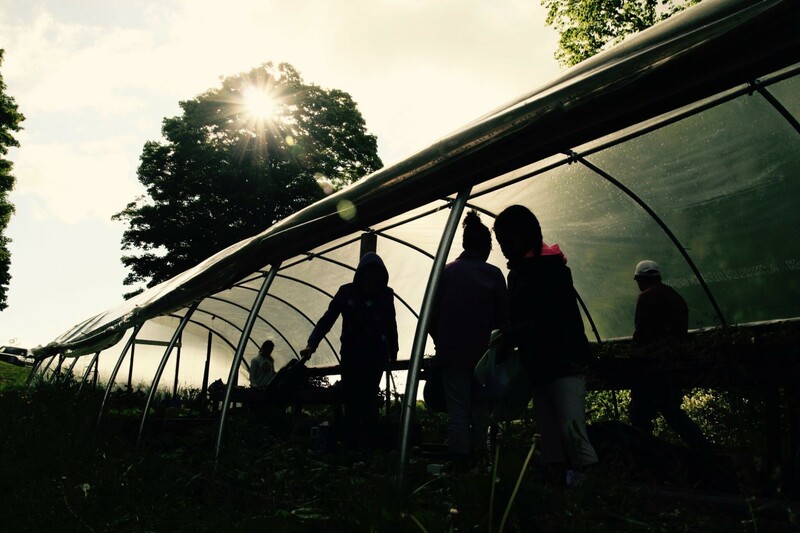 Each week from spring to late fall, the farm hosts about 25 children and their teachers. Throughout their time here, students and teachers engage in authentic work experiences that aim to foster both personal and academic growth. Most impressively, the children are learning core academic subjects with each activity on the farm. Math, science, biology, chemistry, agriculture, nutrition, and social studies are all actively involved subjects throughout their time at Spring Brook Farm. The day we visited, students were cleaning out sap buckets from the farm’s sugaring season, helping construct a pump to water the fruit and vegetable garden, and calculating the amount of feed needed for the baby calves in the barn. Moreover, each season brings with it a slew of new chores and responsibilities to work through with the kids. The children were to plant melon, pea, and herb seeds this week, for instance. Later in the summer, a new group of kids will be harvesting the produce of the very seedlings sowed before them. 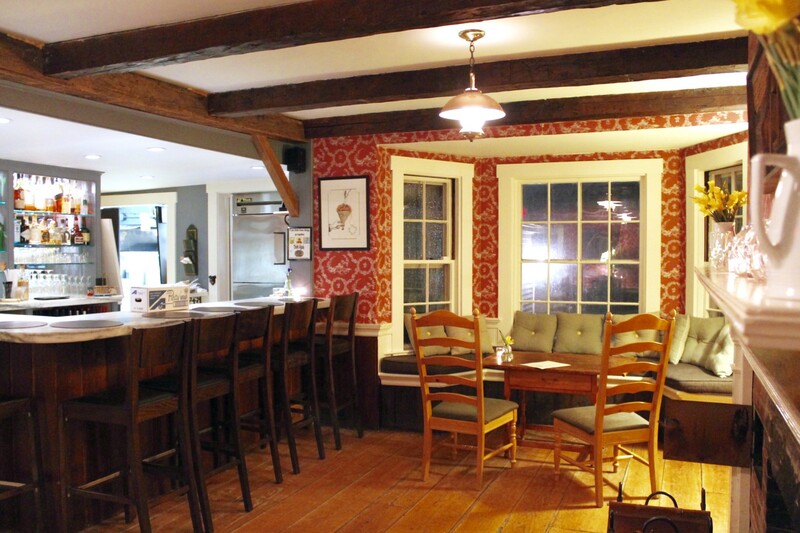 We particularly love the many branches of Spring Brook Farm. From philanthropy to education to nature and production, the various pieces of Spring Brook seem to work together so copacetically. 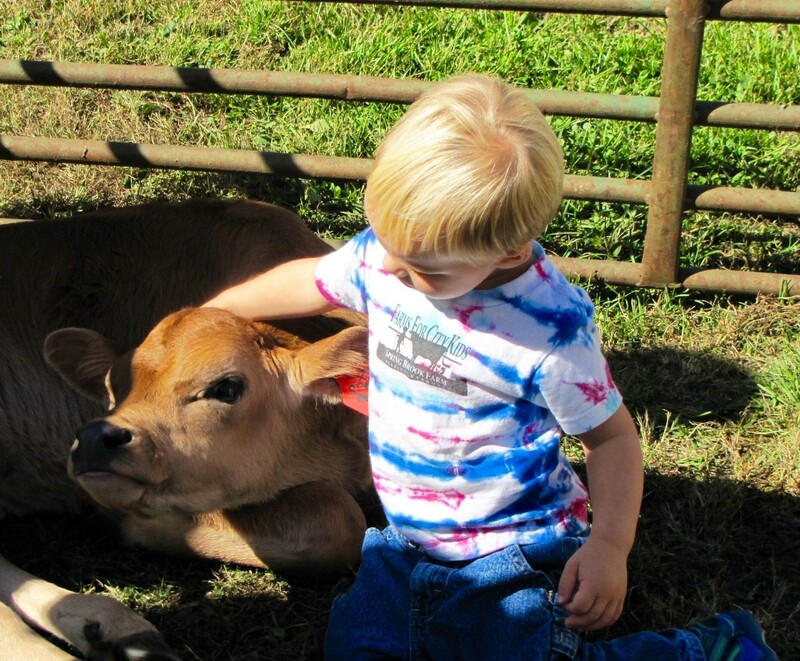 The children aid the farm, the farm chores provide teaching opportunity, and the resulting products from land and livestock reflect the hard efforts of all involved. The cheese is the most evident end product on the farm. The milk from the cows the children helped feed (and hand milk) contributes to the 100 lbs of milk that accounts for every 10 lbs of cheese. 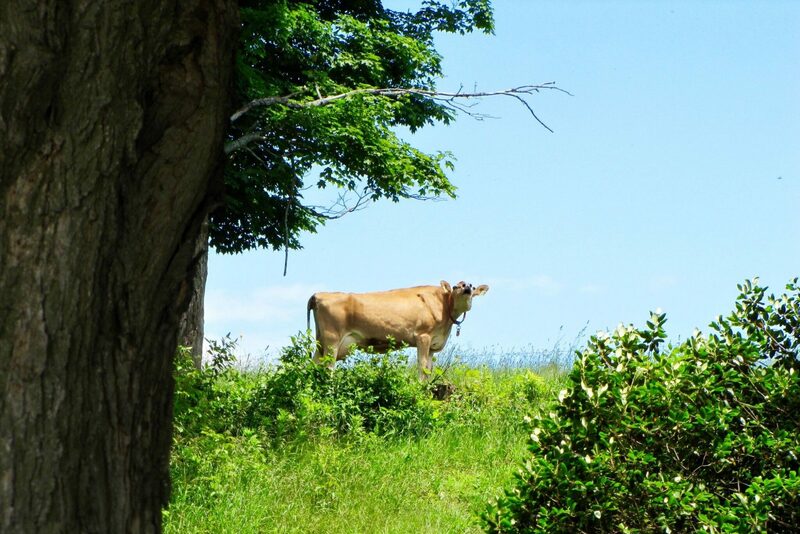 The raw milk used for Spring Brook cheese adds complexity to the flavor of the cheese, a result in part of the dry hay the children feed the cows. 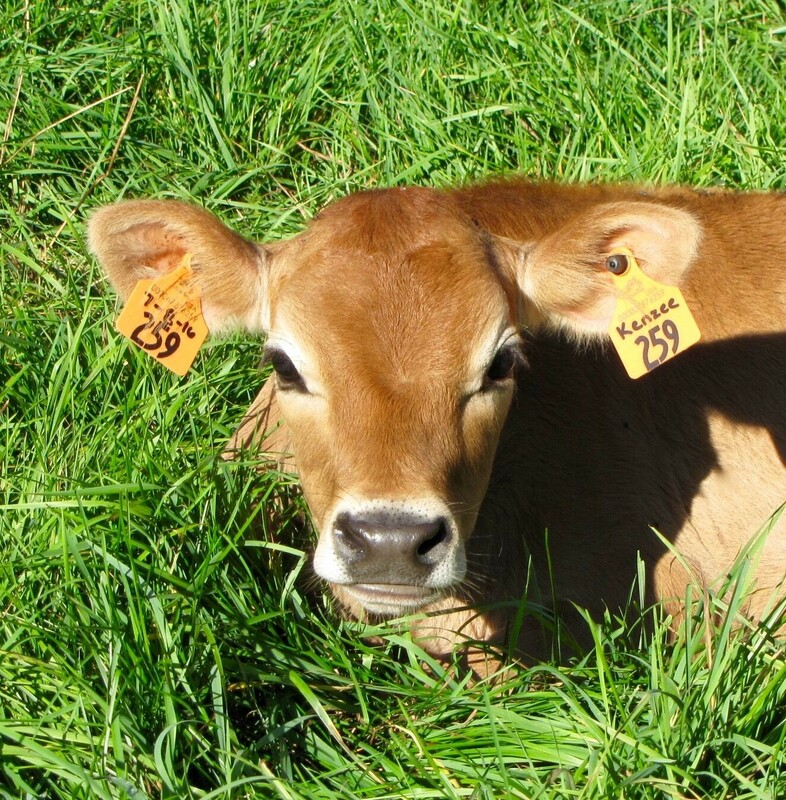 The kids are able to see, pet, and care for the animal producing the dairy used to create the cheese they’ve seen on store shelves. For the children visiting, this sequence of production is an eyeopening lesson in itself. To see the expression on the kids’ faces as they make this connection is completely inspirational and heartwarming. In addition to the week-long experience, Spring Brook Farm also offers a summer week of day camp and Wilderness Survival Camps! Open to all, the survival program teaches hands-on primitive skills such as building fires by friction, carving wooden bowls and spoons, purifying water, and foraging wild edibles. 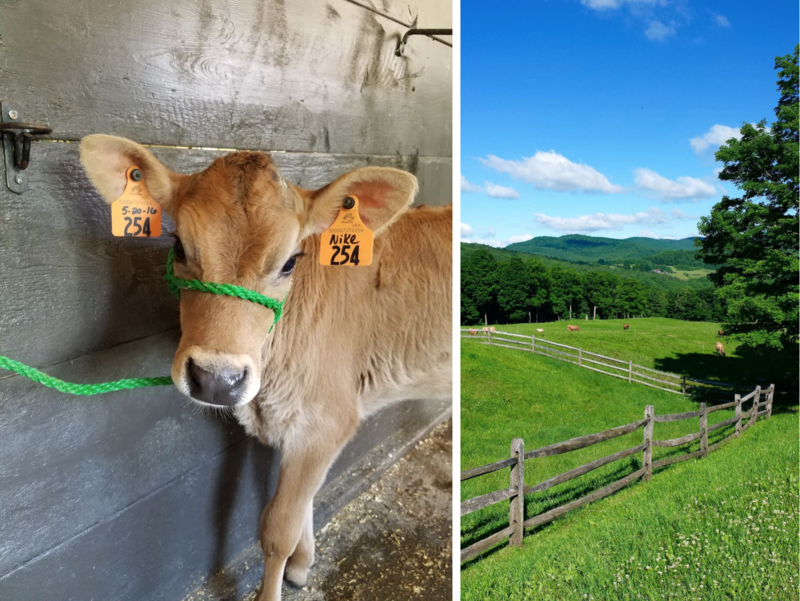 Continuing in the nature education of Farms for City Kids, Spring Brook’s Wilderness Survival Camp involves overnight tent camping amongst the farm’s rolling hills, pastures, and forests. We could easily sense the community and support surrounding Spring Brook Farm and Farms for City Kids on our visit. 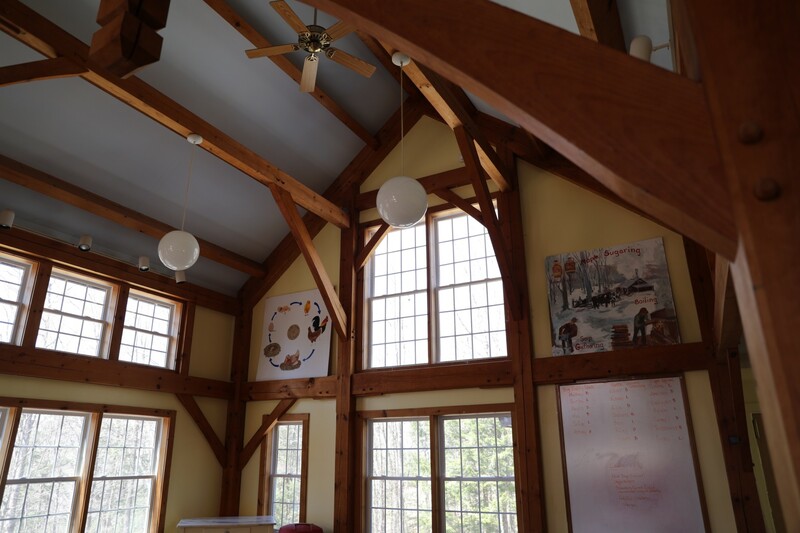 The student and teacher dorms, for instance, reside in a structure donated by a local post-and-beam builder (the product of a teaching project for new employees). Spring Brook’s farm staff also have an enlightened role in the program for the kids. The staff orchestrates activities that will make an impression on the children to develop teamwork and responsibility skills – ones they could treasure as they grow older. Most notably, Spring Brook intends to encourage each child to be the best and true person they want to be. For a more in-depth look at the farm and children, check out this video by Will Studd. 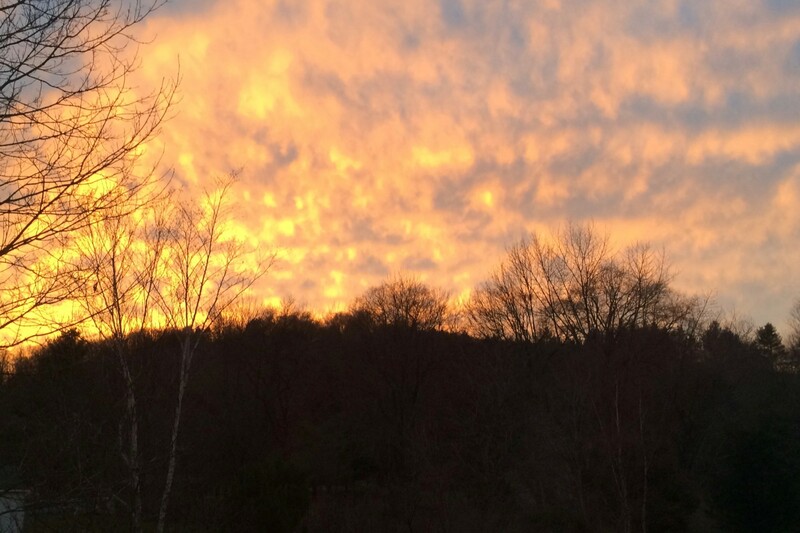 Spring Brook Farm is one remarkable place. Interested in their story? Get a taste of these kids’ efforts and try the cheese they helped produce! 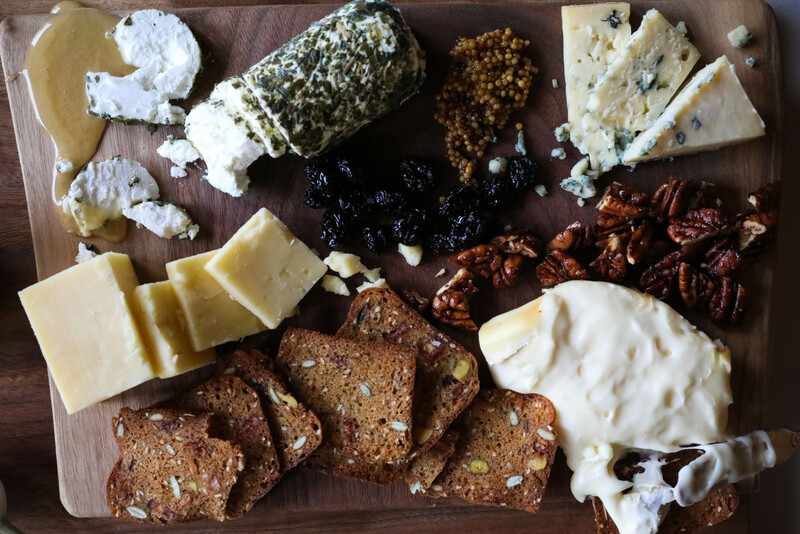 Spring Brook Farm cheese is available nationwide. We pick ours up at the local Woodstock Farmers’ Market. 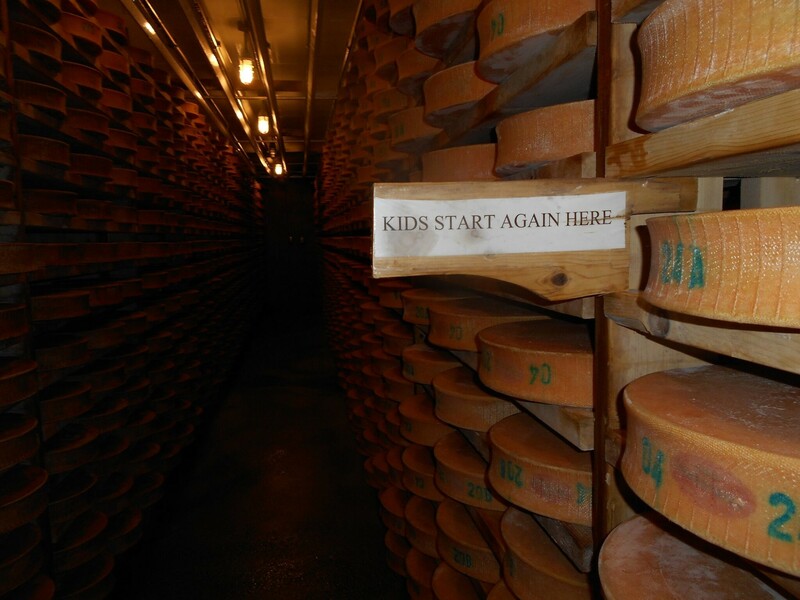 The kids will also be helping Spring Brook sell their cheese at Woodstock’s Market on the Green this summer! 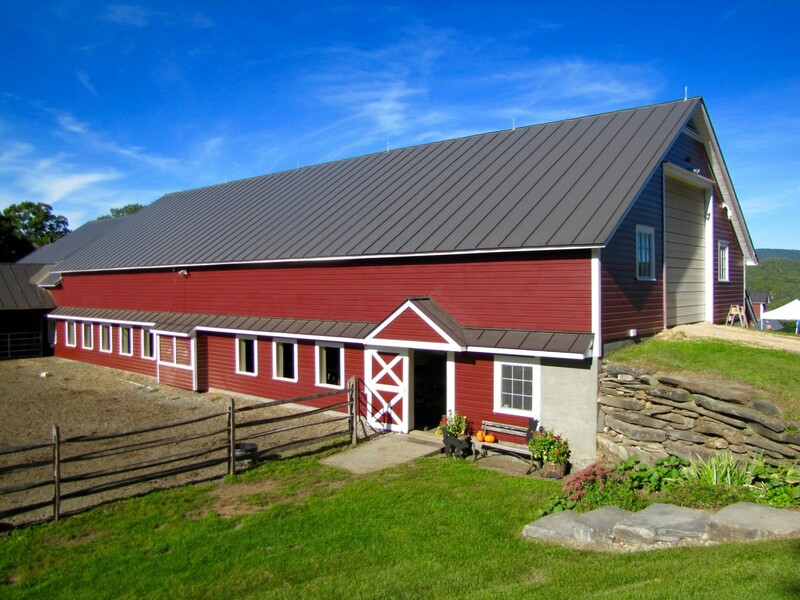 For those of you interested in seeing the farm in person, Spring Brook will be hosting an Open House in September. Check out their newsletters and Facebook page for news and events.